in the Pasadena Pocket by L Spaulding Jr. 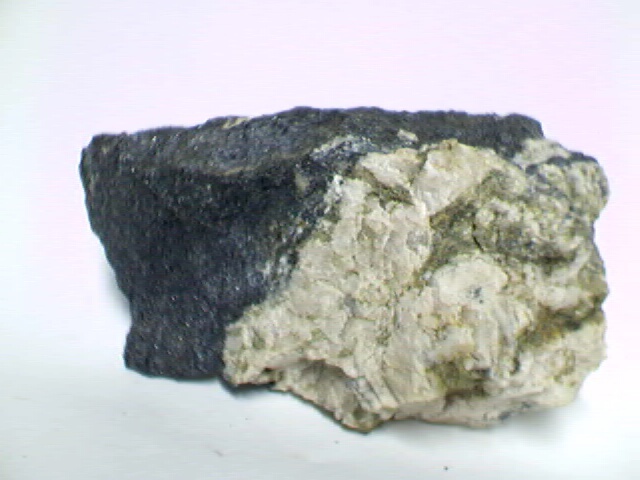 LOCATION: Deer Island, Marin Co.
NOTES: #124 Old time specimen with balls of subparallel lepidolite crystals to 2.2 cm, almost colorless with a light surface iron staining. 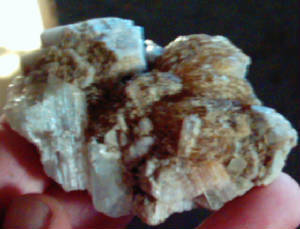 Well terminated crystal of albite and quartz points. 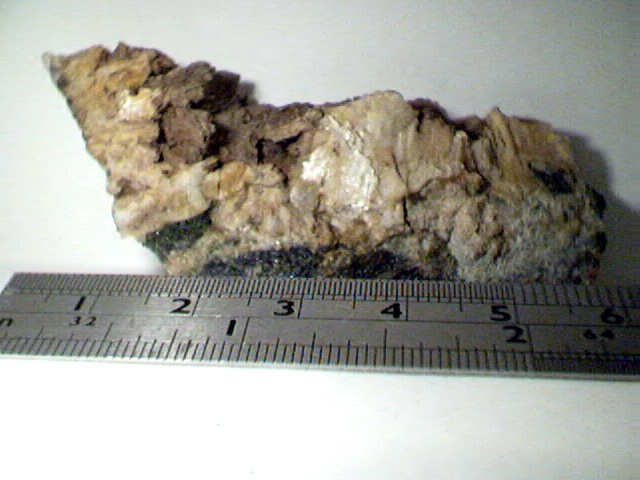 Bottom front of specimen has several very pale pink Tourmaline (Elbaite) crystals and sections to 2.8 cm, on tabular Albite (Clevelandite). 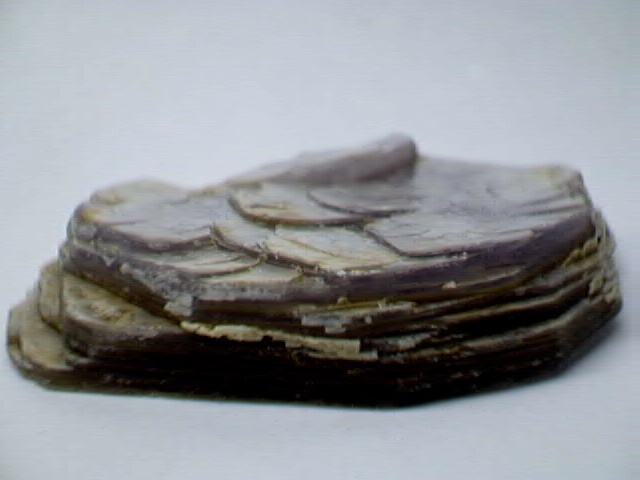 7.2x4.8x3.2 cm, 103 grams. Small Cabinet size.